I am using VIIRS imagery EDR dataset and trying to give Geolocation to Brightness Temperature layer by creating VRT files of Longitude, Latitude and Brightness Temperature layers given in HDF5 dataset. I have used GDAL Translate command to create VRT and then warped VRT file of Brightness Temperature to Geolocation and convert it to TIFF. 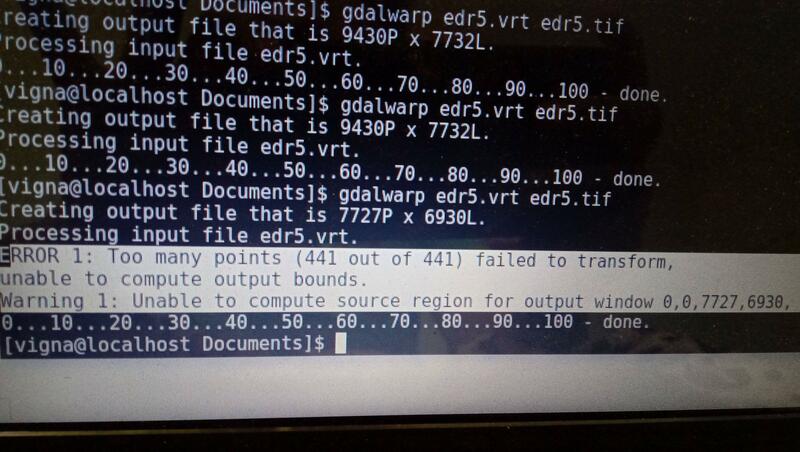 Here I am getting error as shown in screenshot below. Kindly help me to figure out the issue. How to Set the Vertical Coordinate system when creating 3D Shapefile? Georeferencing uneven/irregularly gridded rasters using GDAL?